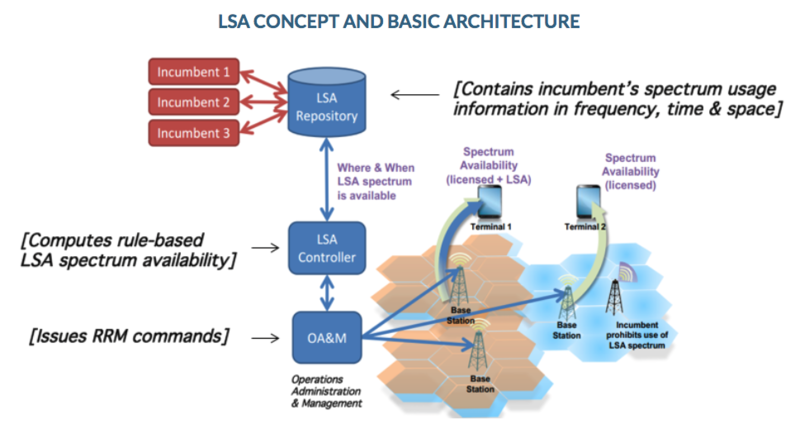 The “Licensed Shared Access” (LSA) (a.k.a. “Authorised Shared Access” – ASA) paradigm, where incumbent operators may allow others to share their spectrum at specific times and places, according to an agreed set of rules. F. Liu, C. Masouros and L. Ang and T. Ratnarajah, "MIMO Radar and Cellular Coexistence: A Power-Efficient Approach Enabled by Interference Exploitation" IEEE Trans. on Signal Processing, in press. K. Singh, S. Biswas, T. Ratnarajah and F. H. Khan, "Transceiver Design and Power Allocation for Full-Duplex MIMO Communication Systems with Spectrum Sharing Radar," IEEE Trans. on Cognitive Communications and Networking, in press. F. Liu, C. Masouros, A. Li and T. Ratnarajah, "Radar and Communication Coexistence Enabled by Interference Exploitation," In Proc. IEEE Global Communications Conference, Singapore, 4-8 Dec. 2017. M. C. Filippou, G. A. Ropokis, D. Gesbert, and T. Ratnarajah, "Joint Sensing and Reception Design of SIMO Hybrid Cognitive Radio Systems," IEEE Trans on Wireless Communications, Vol. 15, No. 9, pp 6321-6341, Sep. 2016. Y. He, J. Xue, T. Ratnarajah, M. Sellathurai, and F. Khan, "On the Performance of Cooperative Spectrum Sensing in Random Cognitive Radio Networks," IEEE SYSTEMS JOURNAL, in press. E. H. G. Yousif, T.Ratnarajah and M. Sellathurai, "A Frequency Domain Approach to Eigenvalue-Based Detection with Diversity Reception and Spectrum Estimation", IEEE Trans. on Signal Processing, IEEE Trans. on Signal Processing, Vol. 64, No. 1, pp.35-47, Jan. 2016. C. Zhong and T. Ratnarajah, "Performance of User Selection in Cognitive Broadcast Channels," IEEE Trans. on Communications, Vol. 60, No. 12, pp. 3529-3534, Dec 2012.